Limbsplitter causes extra damage over a given period of time based on the material of the battleaxe used. It's stackable and ignores armor. Things that don't bleed, however, such as undead and Dwemer constructs, are immune to the effect. ^ Dragonbone battleaxes do not benefit from this perk. Greatswords and battleaxes swing faster than warhammers. To balance this, warhammers deal more damage than battleaxes which deal more damage than greatswords. In comparison to one-handed weapons, two-handed weapons are slower, but they inflict much more damage with each blow. Additionally, two-handed power attacks are much more likely to stagger an opponent, whether they're blocking or not. While the One-handed skill can easily exceed this level of damage with dual-wielding, two-handed weapons retain the ability to block. However, the effect is diminished, and two-handed weapons prevent you from equipping a shield, thus preventing the use of certain Block perks that specifically use shields (e.g. Deflect Arrows, Elemental Protection). The only long-term advantages of two-handed weapons over a one-handed weapon and a shield (which has superior blocking, and due to the nature of how smithing works, higher DPS eventually) against a single target are greater stagger, as previously mentioned, and reach: there's a sweet-spot where a two-handed wielder can attack freely without worry about getting hit by one-handed or creature attacks. In regards to individual perks, both weapon skills are very much alike, making the choice of Two-handed over One-handed mostly preferential. For example, Limbsplitter, Deep Wounds, and Skullcrusher are the Two-handed parallels to One-handed's Hack and Slash, Bladesman, and Bone Breaker perks, respectively; they have almost completely identical effects, but affecting either one- or two-handed weapons. However, Two-handed has a unique Sweep power attack that strikes multiple foes, meaning if you can maintain it (such as via vegetable soup), its speed becomes a function of how many opponents you can keep within the Sweep, raising your DPS against hordes. 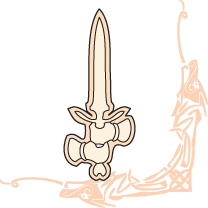 There is no equivalent in One-handed, which instead gets perks to support dual wielding that raises its speed while dual wielding and its power attack damage while dual wielding; for comparison, a dual wielded dagger with both speed perks is functionally speed 1.755, while a sweeping warhammer needs 3 opponents within the sweep to be functionally speed 1.8. Exceptions exist; particularly notable two-handed weapons include Volendrung and The Longhammer, which are warhammers that swing at faster speeds (battleaxe and mace, respectively), and the Headsman's Axe, which is a battleaxe with longer reach (making it easier to catch multiple targets in a sweep). +1 Two-handed reward from Octieve San for completing the quest A Few Words with You. +1 Two-handed reward (+1 to every Combat skill) from Giraud Gemane (Bards College) for completing the quest Rjorn's Drum. +5 Two-handed (+5 to every Combat skill) by selecting "The Path of Might" from the Oghma Infinium after completing the quest Discerning the Transmundane. Weapon skill gains are based on weapon base damage. Choosing the best available DPS weapon should result in fastest skill gains. Boosting weapon damage via skill perks, equipment enchantments or smithing does not increase XP earned per hit. In fact, you gain less XP per enemy because they take fewer hits. The same rule applies to damage modifiers from difficulty setting. You can exploit certain targets for training combat skills, because they are essential, and therefore cannot normally die; because they are expendable; or because they have high health or can regenerate health. They are not normally "enemies". They include: Shadowmere, Hadvar or Ralof during Unbound, creatures you have conjured, Paarthurnax (before starting his quest), and M'aiq the Liar. Note that the target in question must actually sustain damage for it to count. For this reason, practicing on invincible targets such as children and Brynjolf will not level your skill. Mathematically, the best weapon for leveling Two-handed is the Dragonbone BattleaxeDG (26x0.7). In the base game, Daedric Battleaxes, Volendrung, or Wuuthrad (25x0.7) are the best choices. The Elemental Fury shout will expedite the XP per second for two-handed weapons. Blocking with a two-handed weapon, though less effective than using a shield, will benefit from any Block perk that does not mention a shield. The Block perk Block Runner allows you to move faster if you block while sneaking. 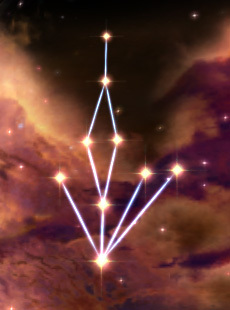 This specific effect applies to all types of block including with two-handed weapons. Great Critical Charge adds a new power attack animation. You have to use the sprint button and do a power attack. Without the perk you cannot even attack while sprinting. All power attacks have double damage compared to normal attacks. Warmaster is not actually a paralysis effect. It is a knockdown, so it will work on things that are immune to paralysis. When you have a high skill in Two-handed, guards may sometimes say, "The Gods gave you two hands, and you use them both for your weapon. I can respect that." When standing close to an enemy with no space in between, and with another NPC behind the enemy, striking will make the weapon phase through the target and hit the NPC behind the enemy. Dragonbone battleaxes do not benefit from Limbsplitter. Despite a loading screen saying that greatswords swing faster than battleaxes, greatswords actually have a speed of 0.7, the same as battleaxes. The only exceptions are Ancient Nord Greatswords, Honed Ancient Nord Greatswords, Nord Hero Greatswords, and the Bloodskal BladeDB, which have a speed of 0.75.